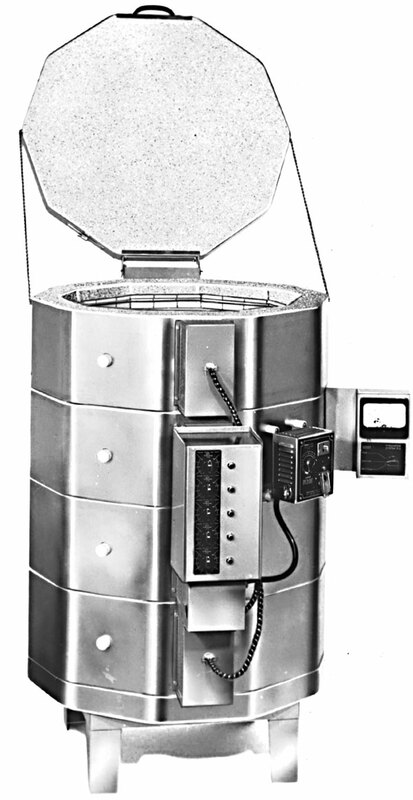 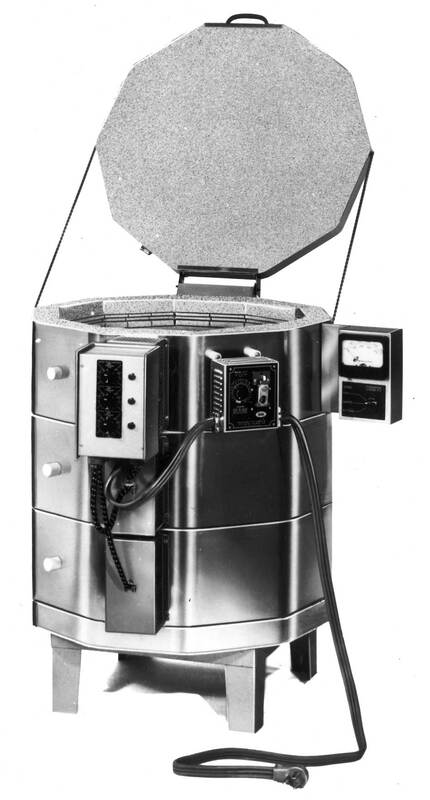 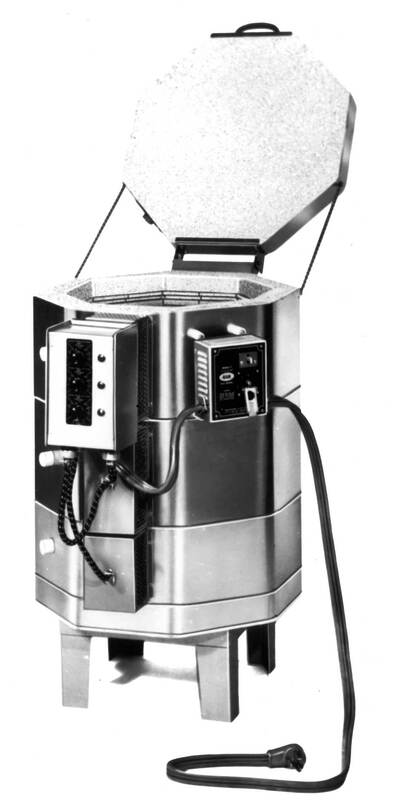 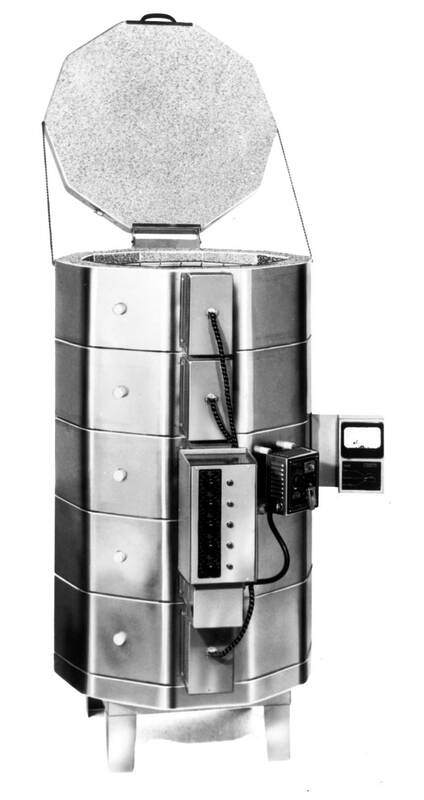 These were similar to the manual Jupiter kilns (and were made by L&L Manufacturing Co., Inc.) Although a few specials were made with automatic controls, almost all used an externally mounted Dawson Kiln Sitter/Timer. 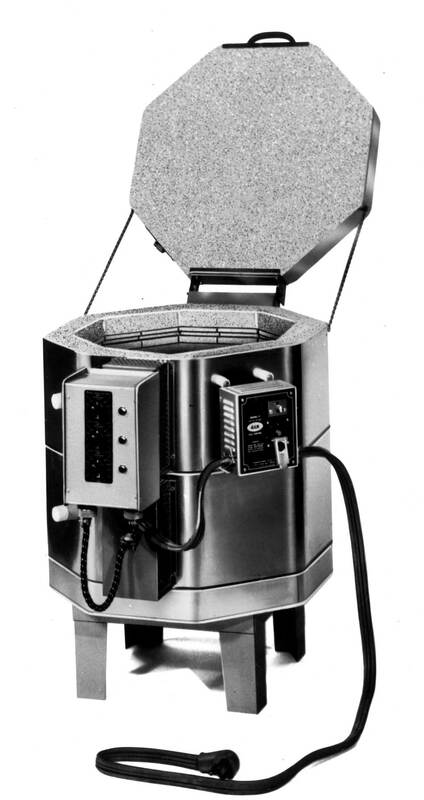 They were made from about 1970 to 1995 when L&L Manufacturing Co., Inc. ceased operation. 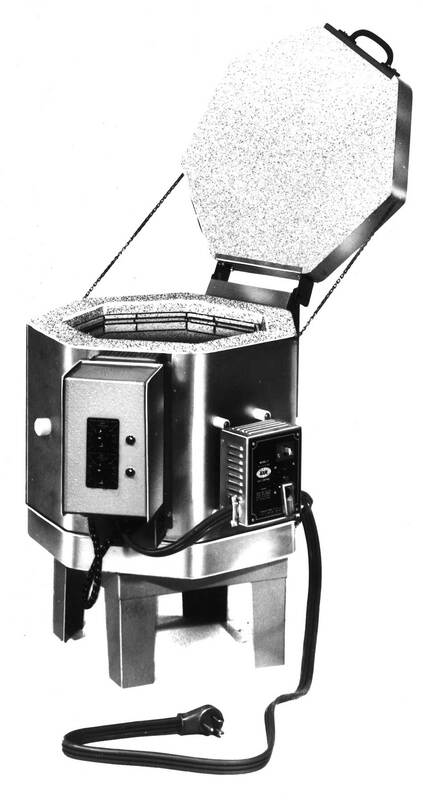 All had 2-1/2" of firebrick. 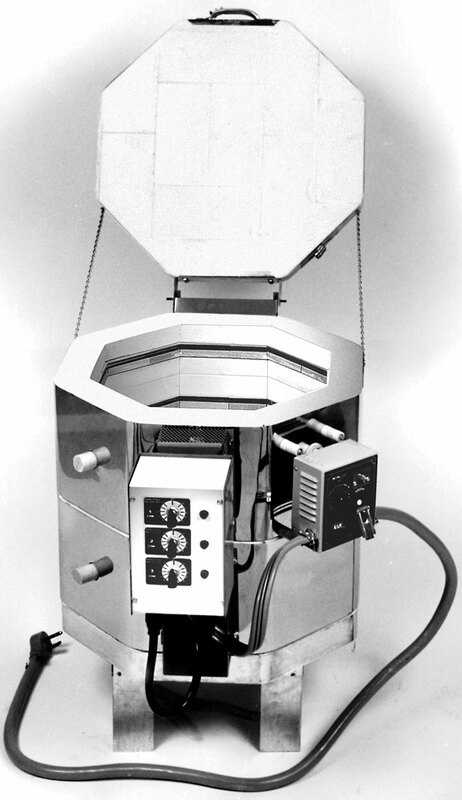 They also featured infinitely variable input switches on each zone, a separate control panel that mounted off the kiln on the side with cords that ran from the kiln sections to the control panel (similar to what is on the Jupiter kilns today), UL listing, element holders, and solid peephole plugs. 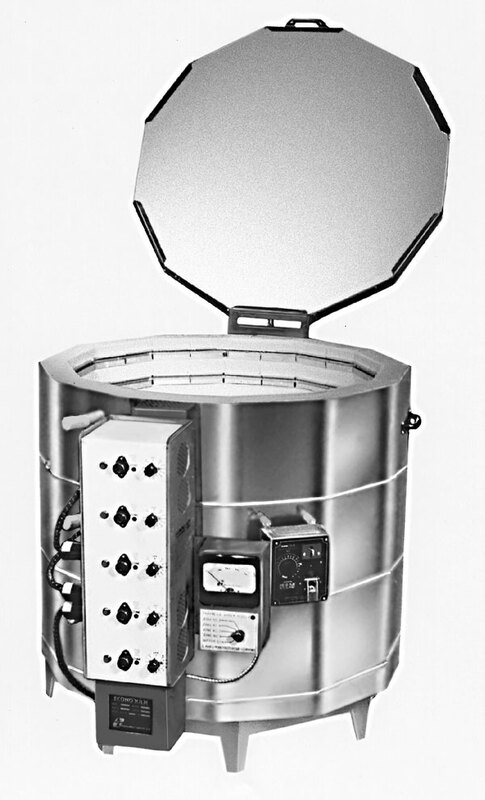 Replacement parts are still made by L&L Kiln Mfg., Inc. Sizes ranged from the J18 (17-1/2" diameter by 18" high) to the J2945 (29" diameter by 45" high).